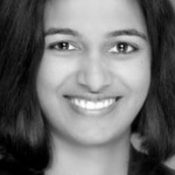 Pooja S. Nair, a litigation attorney at TroyGould PC in Los Angeles, compiles recent legal news affecting the restaurant, food and beverage and hospitality industries for Modern Restaurant Management (MRM) magazine. California Legalizes Sidewalk Vending: On September 17, California Governor Jerry Brown signed SB946, The Safe Sidewalk Vending Act. The law prevents criminal penalties for sidewalk vending, offers retroactive relief to vendors with pending citations and prior convictions, and establishes flexible standards for local vending regulations. California Legalizes Home Kitchen Operations: On September 18, California enacted Assembly Bill 626, which makes it legal to start a home-based food business in the state. The legislation was championed by former executives of a food sharing platform that was shut down based on legal issues from California’s ban on home kitchen products. California Governor Vetoes 4 am Last Call: On September 28, Governor Brown vetoed SB 905, also known as the Late Night Bar Bill. The law would have adjusted the last call time from 2 am to 4 am in cities including Los Angeles, Long Beach, West Hollywood, Palm Springs, Oakland, and San Francisco. Currently, the statewide closing time for bars is 2 am. Brown stated that the reason for his veto was that the two extra hours would result in more drinking. California’s Proposition 12 Passes, Requiring 100 percent Cage-Free Eggs in California by 2022: California voters passed Proposition 12, the Farm Animal Confinement Initiative. The proposition requires that by 2022, all eggs sold in California come from cage-free hens. Proposition 12, also sets new minimum cage size requirements for breeding pigs and calves raised for veal and sold in California. Washington Votes Against New Soda and Grocery Taxes: In Washington, votes approved an initiative to Prohibit Local Taxes on Groceries, including all “raw or processed food or beverages intended for human consumption, excluding alcohol, tobacco, and marijuana.” This initiative gained momentum after backlash for Seattle’s soda tax, which went into effect in January 2018. The initiative will not repeal Seattle’s tax, but will prevent other local governments in Washington from following suit. A similar measure in Oregon failed to pass. Eleventh Circuit Affirms Dismissal of Starbucks Burn Case: On September 19 the Court of Appeals for the Eleventh Circuit affirmed a jury verdict clearing Starbucks Corp. of allegations that a barista negligently served coffee that gave a customer severe burns. The court rejected the plaintiffs’ arguments that the jury should have heard about other customer complaints regarding Starbucks' lids, and found that the trial court acted reasonably in preventing certain evidence from coming before the jury. Seventh Circuit Upholds Wisconsin Butter Grading Laws: On October 3, the Court of Appeals for the Seventh Circuit rejected a challenge to Wisconsin’s butter-grading requirements. Wisconsin state law prevents the sale of any butter at retail unless it has been graded and labeled with a statement of the grade. The butter must be graded by either a Wisconsin-licensed butter grader or the federal Department of Agriculture. In this case, an Ohio dairy company argued that the butter-grading requirement violated the Due Process, Equal Protection, and Commerce clauses of the Constitution and discriminated against out-of-state sellers. The Seventh Circuit found that the requirement did not discriminate against out-of-state sellers and was rationally related to Wisconsin’s legitimate interest in consumer protection. Federal Circuit Rejects Corn Thins Trademarks: On October 4, the Federal Circuit upheld a Trademark Trial and Appeal Board decision refusing to grant a trademark for “Corn Thins” and “Rice Thins” on the basis that the terms were “merely descriptive” and not distinctive for trademark purposes. Starkist Settles Price Fixing Case: On October 18, the U.S. Department of Justice announced that Starkist Co. had agreed to “plead guilty for its role in a conspiracy to fix prices of packaged seafood sold in the United States.” The final amount of the fine to Starkist has not been determine, but the Department of Justice was seeking a fine of up to $100 million. FDA Seeks Comments on Plant-Based Milk: On September 27, FDA Commissioner Scott Gottleib announced a Request for Information asking for comments on the labeling of plant-based milk. This RFI is likely a first step to the FDA’s announcement of new rules on the labeling of plant-based milk. Gottleib’s statement noted: “these plant-based products may not be satisfactory substitutes for all uses of dairy. And some may not be nutritionally equivalent.” The dairy industry has repeatedly lobbied the FDA to monitor the plant-based milk industry’s use of the word “milk” in marketing materials and product packaging. FDA Issues New Final Guidance on Mandatory Recall Authority: In November, the FDA released to the public its final plan outlining its mandatory recall authority under the Food Safety Modernization Act. These are nonbinding recommendations in the form of questions and answers, designed to provide the industry and the public with information about how the FDA intends to use its mandatory recall authority.